2015 vintage: hot and dry! Autumn 2014/2015 was marked by mild weather and a surplus of rain, mostly in October and November. Winter only started to make itself felt in January, but the freezing temperatures lasted only a few days in February. One can compare this Autumn and Winter to that of 2013 and 2014. March was fairly cool, but already marked by a deficiency in rainfall of about 9%. The continuing mild temperatures permitted the rapid growth of the vines between the 5th and the 10th of May, allowing us to reach the stage of 7-8 leaves unfurled. Because of this rapid growth, caterpillars hardly had time to do damage and were not a problem as was the case in 2014. We had be vigilant during this time with fungal diseases such as powdery mildew, but at the end of May the situation was very healthy. The flowering took place in June over the space of a few days thanks to the ideal sunny and bright weather. This is one of the most precocious years as 2007 and 2003. A rainy period between March 10 and June 15 brought some much needed moisture. The month of July was marked by strong sunshine and high temperatures that seemed to block the "veraison" a little, however it was noticeable from the beginning of July. It's worth noting that the average temperature was 25°C for the month with a peak of over 35°C. The rains of early August unblocked the situation, bringing some freshness and rapid ripening. The month enjoyed mid-level temperatures. The temperatures of the summer months accelerated the ripening of the grapes, the tannins, and the thickening of the skin of grapes. In September Burgundy came back to seasonal temperatures and the weather was fortunately a little cooler. The harvest started on the 2nd of September in hot, sunny conditions. The characteristic of the vintage is that the grapes are extremely healthy without rot, botrytis or fungal disease. Sorting was hardly necessary. The yields are satisfactory in Chablis. The yields are satisfactory in Chablis and the Mâconnais, low to correct in the Côte d'Or Chardonnays, low to very low in the Côte d'Or Pinot Noirs. Vinification was obviously adapted to the characteristics of the vintage; the grapes naturally possessed good potential for colour, nice tannins and a good degree of alcohol. It was necessary to adopt gentle winemaking methods to preserve the elegance and freshness. A feature of this vintage is that the malic acid levels are rather low. In general vinification lasted from 15 days to 3 weeks. On the whole, there is great consistency in the character of the wines followed by a deep aromatic richness in the register of ripe fruits. In the mouth they have character and are sometimes unctuous without being heavy. They respect the typicity of their geographical origin. 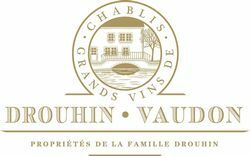 The first Chablis will soon be bottled, and the 2015 vintage is a faithful expression of the briny qualities associated with this appellation. In conclusion: 2015 is among the best vintages of Burgundy. The wines will be good to drink from now, and the reds have an impressive potential for keeping.